Some words are infused in the mind with their own meaning. They reflect and echo their concept into the mind, cascading and expanding into vision. …speaking of the backside of the column holding up an underpass, surrounded by piss-stained brick, in downtown Boston. 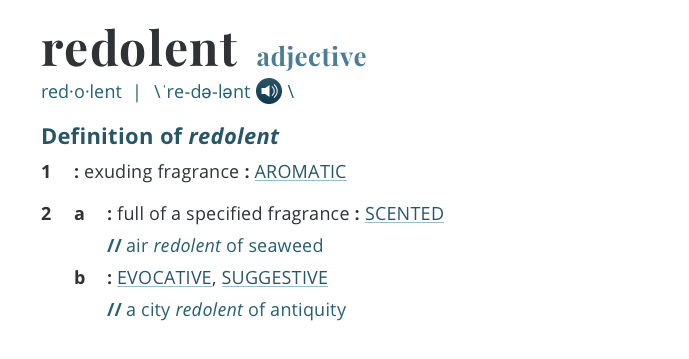 Rendolent with possibilities. Wafting. Pervading. Language is just awesome.